It’s not just anyone that can endure those long hours of practice and commitment. 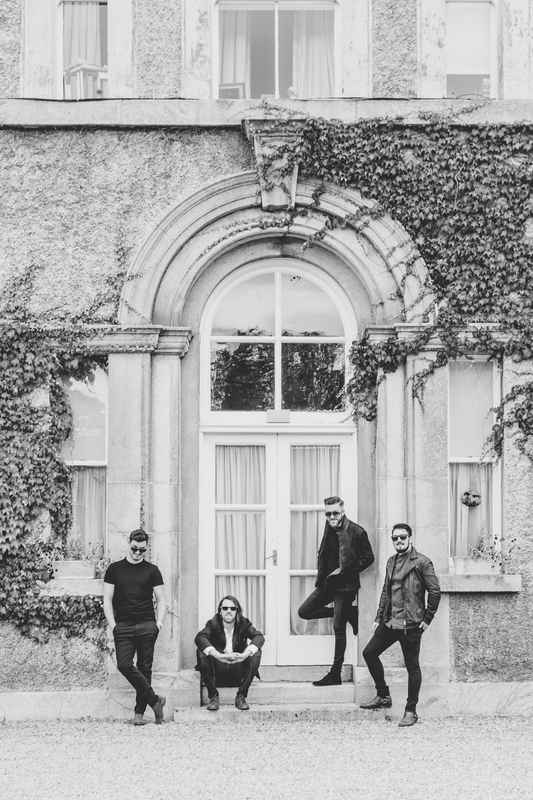 Dublin natives The Riptide Movement have really carved a place for themselves in the Irish music scene over the last few years and judging by their latest hit ‘Elephant in the Room’ they’re aiming to expand on an international scale within the next five years. Their new album, Ghosts, is due for release on October 21st and Motley was lucky enough to get a listen to it early. The Riptide Movement are not just a group of men who come together to perform a few tracks and head home afterwards. They’re long-term friends who’ve come together since they were fifteen of sixteen, we nt to school together and formed a band together. Mal explains that the inspiration for their band name came from an incident that took place over in Australia. Last year the boys took over the main stage at Electric Picnic, singing their heart out. “It was so easy because there’s 2,000 people there and it’s just like you can nearly do no wrong, it kind of carries you through.” Their dedication and passion in engaging their fans while making music made me pause to catch my breath. 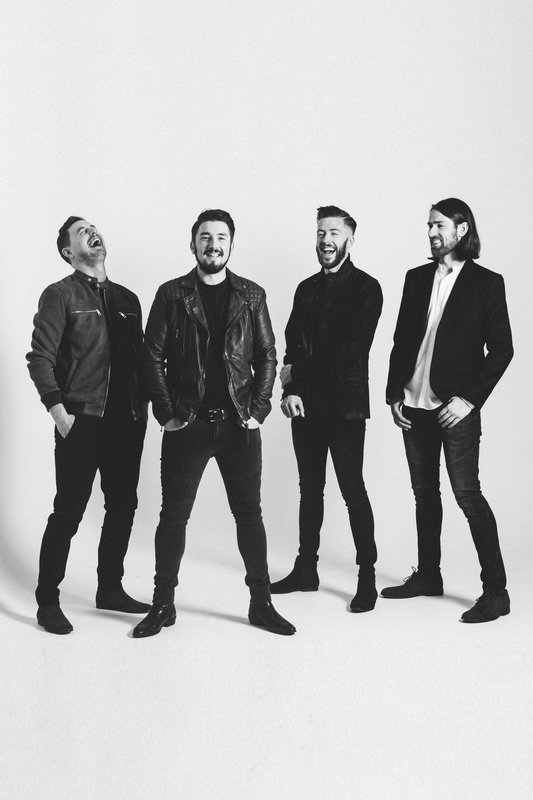 Here are four young men from Dublin completely excited about gigging, touring and writing their own music on a consistent basis. Even more thrilling is the fact that they are headed for Cypress Avenue in Cork to perform on October 29th. 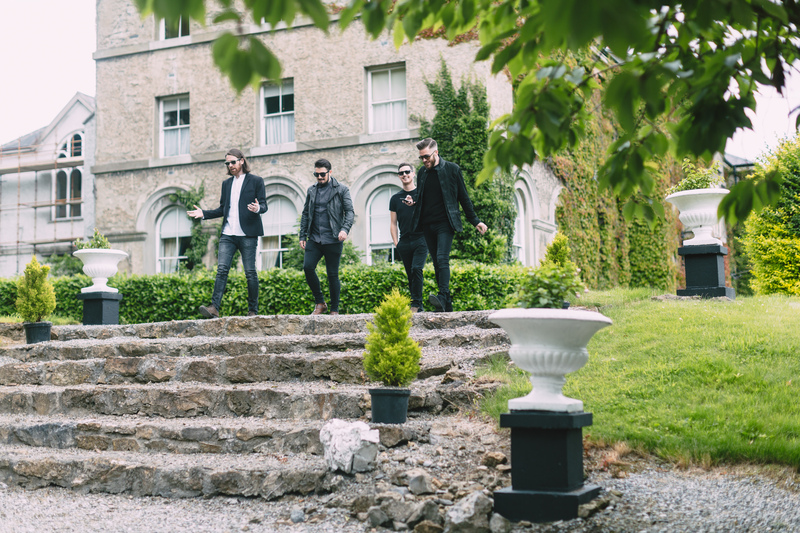 The boys highlighted the importance of intimate venues like Cypress Avenue, Whelans and Dolans, showing that they are far from being a one-trick pony. However, it was disappointing to find out they hadn’t been able to perform at Electric this year. The band, who generally write positive songs, chose a fresh angle to explore with their hit ‘Elephant in the Room.’ Although the song is more pop than anything else, the lyrics are of a much darker tone. The boys shared the meaning behind the song with us, saying that: “It’s basically like a ghost is undefeated, it’s blatant, people know what’s going on but they don’t actually tackle the issue because maybe it’s a bit uncomfortable.” As Mal was quick to point out, the song is completely up for interpretation and the in-depth and dark set of lyrics give it much more meaning than your average song in the charts. It’s definitely a great asset that the boys can take on both touring and writing their own music all at the same time, because for some artists the strain of working and writing in sync could be overpowering and burn them out. We have to say we’re so proud of our young Irish musicians, who have made a great name for themselves and have set a high standard for Irish bands at both a national and an international level. The collaborative effort of the team is proving a serious success for the group. Before it was time to end the call with Mal, I had to squeeze in the last and most important question: What’s your ultimate direction for the band for the next 3-5 years? “Well definitely we want to build internationally because we got a good start with ‘Getting Through,’ so we’re kind of building something in Germany and we’re getting a good start in the UK. Basically we are replicating what we’ve done here, across Europe and across the UK and we want to get a start in the States as well. For us we’ve invested ten years of our lives into it at this stage and it’s something that we’re in for the long haul, it’s gonna be our lives I guess. So wherever that road may take us, we’re here for the long haul.” The future looks bright for Riptide Movement, and Motley eagerly anticipates their new album Ghosts.